RUSH: Justice Department inspector general has sent a criminal referral of Andrew McCabe to the U.S. attorney. I told a caller a little a while ago I didn’t think anybody would be prosecuted, and I still don’t believe it, but this nevertheless has happened. Justice Department inspector general has sent a criminal referral regarding FBI deputy director Andrew McCabe to the U.S. attorney’s office in Washington. The inspector general found that McCabe had “lacked candor” on four occasions discussing the disclosure of information for a Wall Street Journal article about the Clinton Foundation investigation. Now, about that, one more thing here. Cybercast News Service reporting that McCabe couldn’t believe it when the DOJ told him to shut down the Clinton Foundation case. As deputy FBI director, Andrew McCabe got a phone call August 12th, 2016, three months before the election from the Obama Justice Department in which he apparently was pressured to shut down the FBI’s investigation of the Clinton Foundation. That was August 12th. 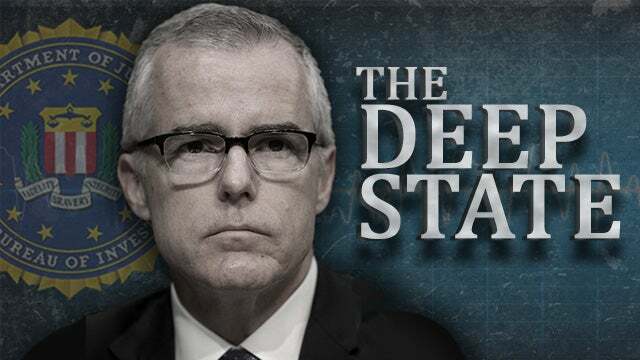 On Friday, April 13th, the Office of Inspector General had issued a report on McCabe detailing on how he had lacked candor even under oath on four occasions dealing with a leak to the Wall Street Journal about this. Now, let’s go back to the subject of the headline here. As deputy director of the FBI, Andrew McCabe, got a phone call on August 12th from the Obama Justice Department in which he was pressured to shut down the FBI investigation into the Clinton Foundation. Why is a top official from the Obama Justice Department apparently pressuring Andrew McCabe to shut down the FBI’s investigation of the Clinton Foundation? Remember, the Clinton Foundation was taking donations in mammoth amounts of money from all over the country. Many people thought it was a money-laundering operation. Others thought she was selling access to her presidency. J. Christian Adams said this is in the OIG report. This is the bombshell — not that McCabe may have lied — this is a bombshell that somebody in the Obama DOJ called him and said shut down the Hillary investigation. Do you know who it was? The principal associate deputy attorney general, serves under the deputy attorney general. In 2016, the deputy AG was Sally Yates. The story speculates it might have been Sally Yates from the Obama DOJ that called McCabe and told him “Stop the Hillary investigation.” The foundation, not email. The Hillary foundation. There’s a bunch of Hillary investigations going on out there. And J. Christian Adams says this is the bombshell, not that McCabe may have lied but the DOJ’s calling over here and telling them to shut down the investigation into Hillary?